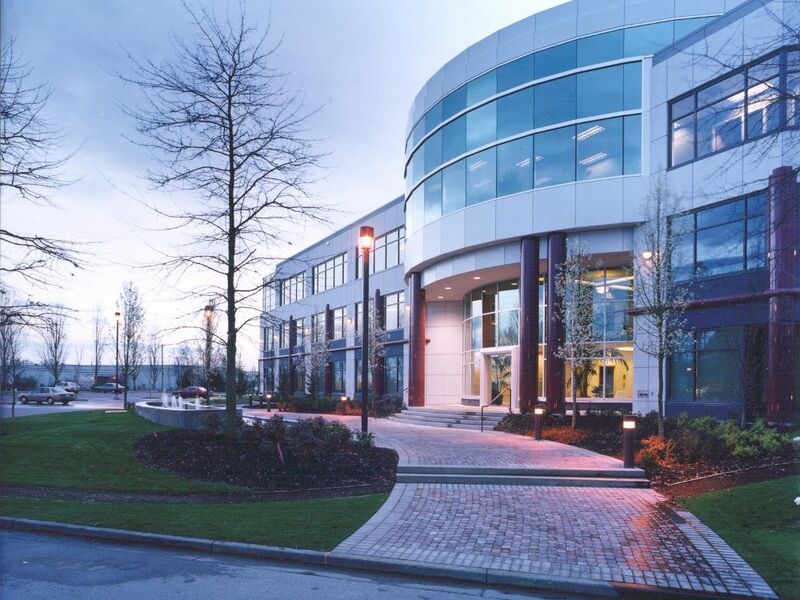 Transoft Solutions Inc., answering the need to accommodate its rapid expansion and growing employee count, today announced it has relocated its offices to Suite 350 – 13700 International Place, Richmond, BC, V6V 2X8. The new space boasts an abundance of low voltage LED lighting, modern fixtures, open architecture, and a vibe that matches the company’s dynamic culture. 2018 marked yet another period of rapid growth for the 27 year old company which recently completed its most ambitious acquisition to date. The move to a new office puts an exclamation point on what has been a banner year for the world’s leading transportation engineering software developer. Transoft’s new headquarters is nestled on a beautiful tree-lined street, occupying 13,000 square feet on the top floor of the building. 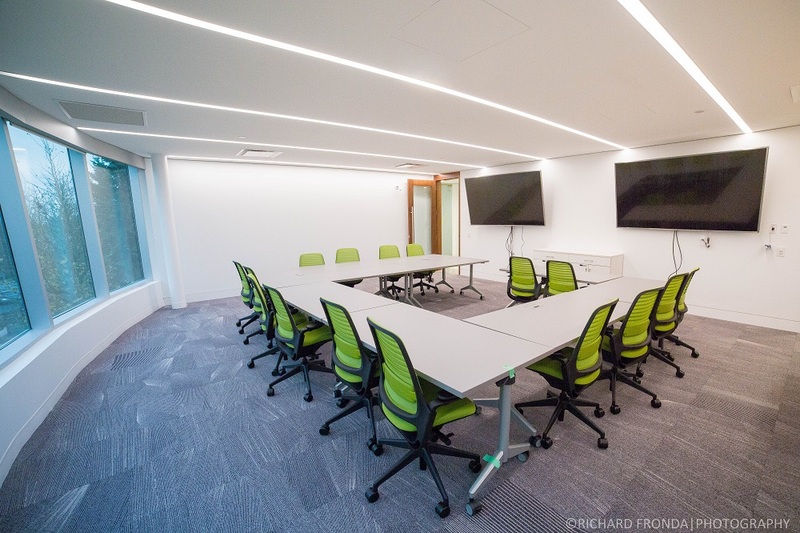 Built to spec, the unique space features open collaboration areas, privacy rooms, multipurpose boardrooms, a lounge, and classrooms to train the next generation of transportation engineers and design professionals. “Our People constitute one of three cornerstones of our success – the other two being our Customers and our Products. 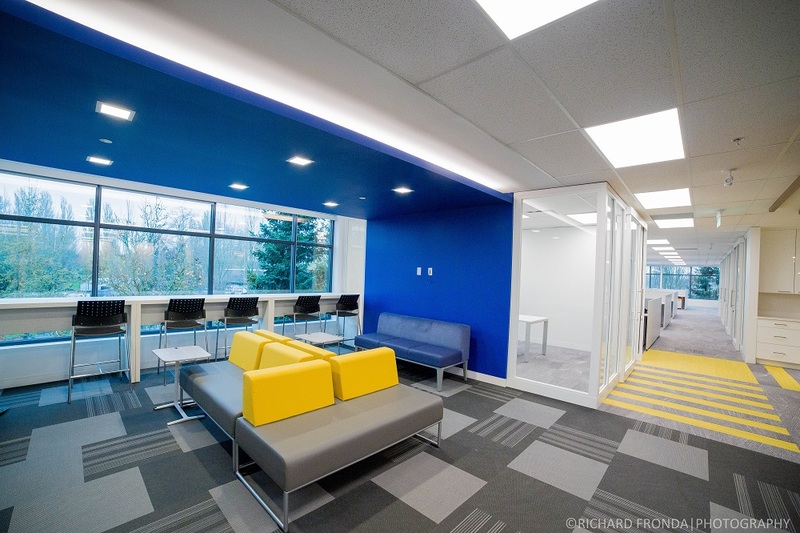 The relocation to this new, uplifting, and tastefully decorated space is singularly intended in gratitude to our employees past diligent and dedicated effort towards Transoft’s Mission, Vision and its success. It gives our staff a fresh, fun and enjoyable place to work in,” said Milton Carrasco, CEO and President of Transoft Solutions. “At Transoft we work hard to live our values and lead by example. The eye-catching world map in the lobby signifies our global aspirations yet instills a sense of humility. If you are ever in the Richmond area, be sure to stop by and say hi to our folks”. 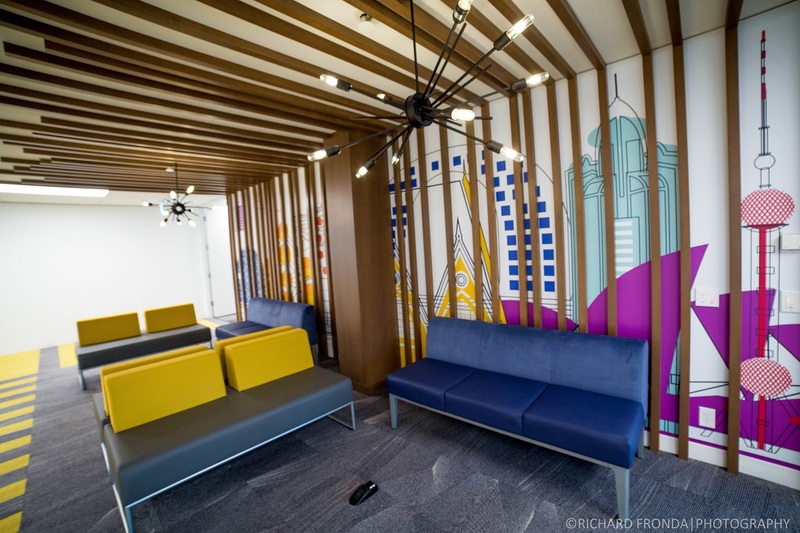 “We took an agile approach to get constant feedback from our staff through the design and construction phases,” said Steven Cheng, COO, when asked where the inspiration was drawn for the design of the new office. “Working with the designers, we set out to balance productivity with aesthetics to make the space conducive for team-based productivity. And as far as modern design goes, we evaluated the popular trends and selected those that we felt would have lasting value. The office features ample natural light, improved air circulation, height-adjustable desks, and fun and relaxing areas and wide open spaces to keep us all healthy and upbeat. In line with Transoft’s commitment to a higher sense of corporate responsibility, the new office retains remnants from the former address such as reclaimed boardroom tables to lessen the burden on local landfills. The space also features upgraded LED lighting meeting today’s ASHRAE standards which reduces Transoft’s carbon footprint. Transoft Solutions develops innovative and highly specialized software for aviation, civil infrastructure, and transportation professionals. Since 1991, Transoft has remained focused on safety-oriented solutions that enable transportation professionals to design with the utmost confidence. Our portfolio of planning, simulation, modeling, and design solutions, are used in over 130 countries serving more than 50,000 customers across local and federal agencies, consulting firms, airport authorities, and ports. We take pride in providing best-in-class customer support from our headquarters in Canada, and through offices in Sweden, the United Kingdom, the Netherlands, Australia, Germany, India, Belgium, and China.